**UPDATE** Due to rising flood waters at Zorn Avenue and River Road, our weekly event at The Levee is cancelled for Feb 27th. However, Andrew has some VALUABLE information to share, anyone interested in being a part of the discussion can join our VIRTUAL ZOOM meeting by clicking on THIS LINK, Tuesday at 6:30 PM EST. His company was JUST FULLY SUPPORTED by Brock and Crystal Rose Peirce through Unicorn.VC on Friday and they are now looking for 5 more ICO Managers, as 5 slots have already been filled. Andrew has a passion for technology and would LOVE to see Louisville rise to it’s full potential of being a Technology Center for Innovation, but realizes we still have a long road to haul. He has laid out pathways for Louisville to be just that, but so far has not received the needed support. Andrew has developed relationships with Tim Draper and team, and is interested in bringing them, along with Brock Pierce’s whole cryptocurrency ecosystem to Louisville this Derby 2018 through hosting a D10E Derby Week. A move that could absolutely CHANGE the GAME for Louisville in the Technology space, if embraced! As you know, my vision for Louisville aka Possibility City, in conjunction with TALK (Technology Association of Louisville Kentucky) is to see Louisville become a player in the Technology field. 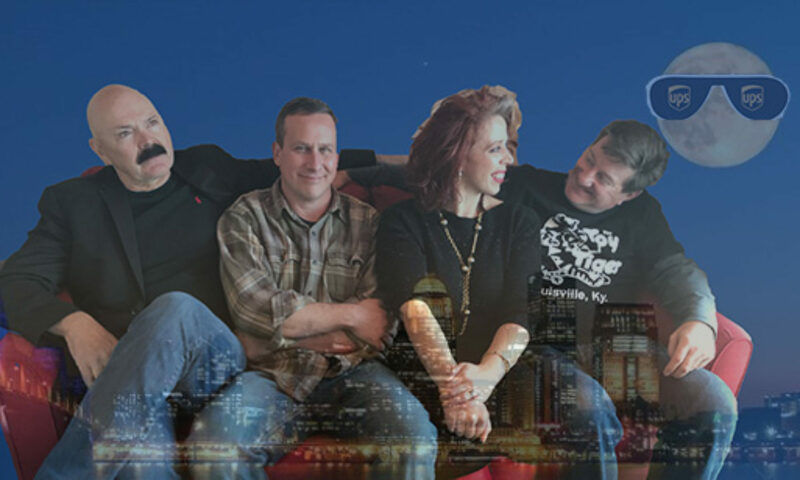 I have been recruiting top IT talent in Louisville for over 20 years. I can FEEL the energy and see our potential. Now is the time to bring these players to the table! For a little perspective: Let’s discuss Austin Texas. About 30 years ago this little po dunk event called SXSW started around Music. About 100 people came, then the added Movies – and saw about 300 people in attendance. Then 20 years ago, Tech space entered the game at SXSWi. About 80 people showed up for the tech events, and now, it’s about 35,000 people strong. Doesn’t sound like a lot of people, when you compare it to Derby numbers… but let’s take a little deeper look. Derby has an attendance of over 10x the people, but the City Impact for Derby Week per person is around $85 (or $128M City Impact.) SXSW is averaging $1500 PP (About $325M City Impact) with significantly less headaches because of the technology companies fighting over mindshare of the attendees. Andrew Prell is leading a BRILLIANT initiative, that will truly change the face of gaming by putting all gaming platforms onto the BlockChain. 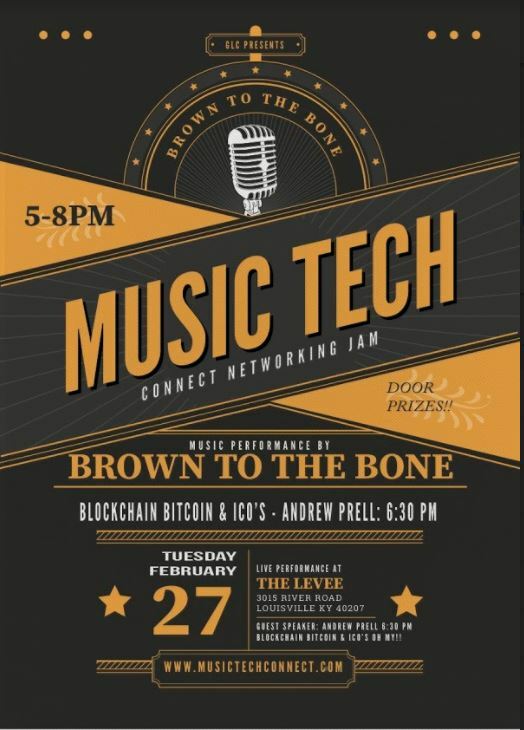 He has crypto to invest in other startups and he has created a pathway for Louisville to bring TOP TALENT into our fold … Join Us Tuesday for Music Tech Connect! Love Tech? Music to our ears!